You could almost miss the Union St. Inn blending as it does with the many shingled houses that line the streets of old Nantucket village. But that would be your loss. It’s one one of the most celebrated inns on Nantucket with praises from major travel press. But, it’s its very modesty, its lack of puffed up pretensions that make it special. It doesn’t feel like a much praised place. Behind the brass knocker the 1770 B&B manages the perfect balance of laid -back elegance and welcome… scant steps away from the cobble stone streets of the village center. Sepia sailboats grace the walls, the 12 guest rooms are done in quiet good taste, and comfort with designer furniture, free Wi Fi, duvets…very nice. The nod for that goes to Deborah Withrow, the Union Street’s (behind the scenes) hostess. And (scuttlebutt), old and new, on this very special island Nantucket Island. Sinfully good treats are always on hand…. And breakfasts are made to order, generous, and delicious. My favorite is the salmon on a bagel with cream cheese, tomatoes, chives and dill, and a fresh fruit plate. An ample umbrella basket…just in case. 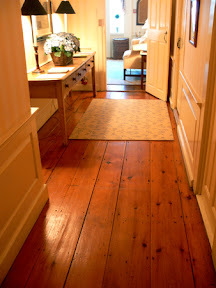 Broad pine floors, that creak with history Wifi throughout (like it or not). And handy, lo-tech, perfectly Sharp, #2 pencils! Nicely done Union Street Inn, we’ll come again. This time with friends. Prev Article Prev Article The Chaos of Travel: Who Can Help?